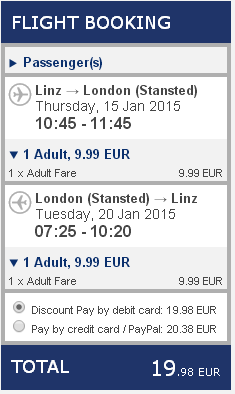 Super cheap Ryanair tickets from Linz & Bratislava for only €9! 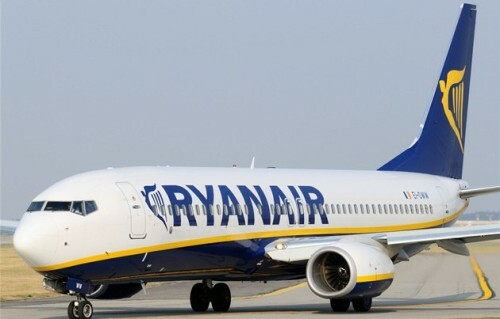 Ryanair has some really cool offers lately and you can now get super cheap flight tickets! For selected flights from Linz or Bratislava you will pay only €9.99 for one-way flight! This means you get return ticket for just €19! Availability of travel dates is in January 2015. These tickets are cheaper than your cab back home from a Friday party! 10 kg luggage up to 55 cm and other smaller bag are included in the price. « Cheap flights to Spain: Barcelona from Bratislava for only €52!